Quite frankly, it still seems unreal that I am actually in fourth year! Yes, I walk around in the shiny white coat, we’re actually in the hospital in the mornings, and the work load tells me that this is definitely fourth year, but still it doesn’t feel real. After all, it was just the other day that I started first year, wasn’t it? You remember when I shared about my depression, right? I have to say that fourth year so far has forced me to cling to God. The workload is just so intense, and we’re dealing with patients every day. I simply don’t have the luxury of allowing myself to slip into depression. I have to keep going. Already, I am learning to recognise the warning signs, and to pre-empt the depression before it gets bad. I’m only realising now, how all the years I haven’t been trusting God and leaning on him the way I should have. He knew that I needed to lean on him, and so he sent fourth year, and depression, and I am thankful for that. So anyway, fourth year! This is when we really first get the opportunity to work in the hospitals and start seeing patients. We have morning rotations (in groups of fourteen or fifteen students) during which we work in the hospitals, and afternoon classes for the entire fourth year group, during which we try not to fall asleep! Right now, we are doing internal medicine in the mornings, and paediatrics in the afternoons, and it is a breeze in comparison to gynae and neuro! And yet there is still so much to study and learn, so much to think about, so much to do and to practice. I am busy, I am intellectually stimulated, I am working with people, and I am happy. Tags: fourth year med, gynae, Happiness, internal medicine, neurology, paediatrics. Bookmark the permalink. Previous post ← So you thought the library was a study venue? Depression is an illness, seek help from a doctor whom you can trust to refer you to an appropriate specialist. How long will you be studying for? You sound busy, but I’m glad you are enjoying it and stimulated -that’s the important thing! Just keep trusting God, and He WILL direct your paths – that’s a promise. He’ll never drop you, he upholds you with his mighty right hand. You’re back! And I see there are quite some new posts! It sounds quite insane, practical internships in the morning and theory in the afternoon? I’d feel rather faint at the thought of having to do an exam in ob/gyn and neuro on the same day! Yup. I am indeed back! (Sort of…) I don’t always have the time that I want to post on the blog. And ja, the day we wrote gynae and neuro we went through stages of feeling faint at the mere thought of the test, cramming frantically, utter depair, and semi-insane hysteria. I failed neuro block test, but still I look back on that day with fondness because it was just so strange! Hi Jessica. 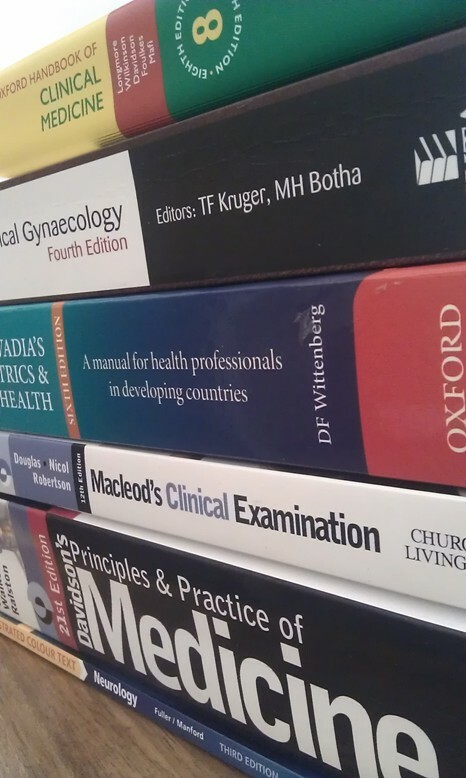 Yup, it’s been a while… In South Africa, the undergraduate medical degree is 6 years long, so that’s just under 3 years left that I still have to do. Then, after that, we do 2 years of internship (junior dr work) which we do get paid for, and 1 year of community service which is apparently quite rural, and which we also get paid for. I’m trusting God and taking it one day at a time, otherwise it just gets too overwhelming! Keep trusting God… he’ll give you everything you need one day at a time! 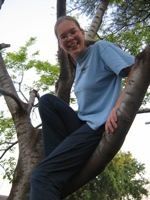 Renate is a fourth year med student at a university in South Africa. Visit the 'About Renate' page to learn more.